Love reading it on my mobile devices. Excellent source of business news for New Mexico, and business news in general. Very useful app. 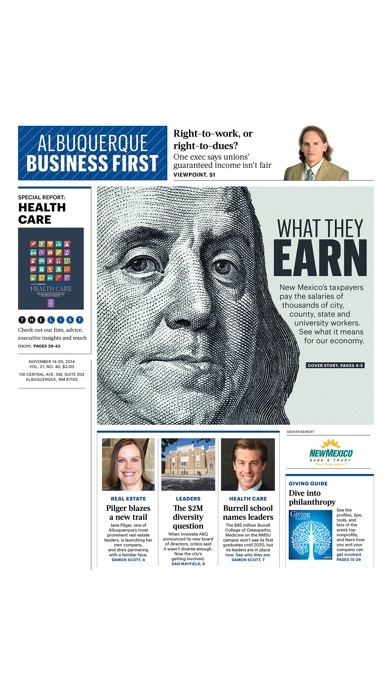 This is a nice layout, and it's a great way to stay on top of the latest stories being covered by New Mexico Business Weekly. I like that there is enough content to actually get the gist of the story - not a prohibitive read the first sentence feature before being asked to subscribe. Nice job.